Mild cognitive impairment (MCI) refers to having problems with your memory and decision-making abilities. Usually, people with MCI experience few if any problems with performing their daily activities. Experts say that MCI could be a stage between normal aging and Alzheimer's disease. A growing number of studies suggest that obstructive sleep apnea (OSA), or "sleep-disordered breathing," is associated with a higher risk for memory problems and for problems with thinking and making decisions. OSA is a common condition in older adults who have MCI. Symptoms include disturbed sleep due to reduced or momentarily stopped breathing at night. If your healthcare practitioner diagnoses you with OSA, she may recommend treatment with continuous positive airway pressure (CPAP), a pressurized mask worn during sleep. 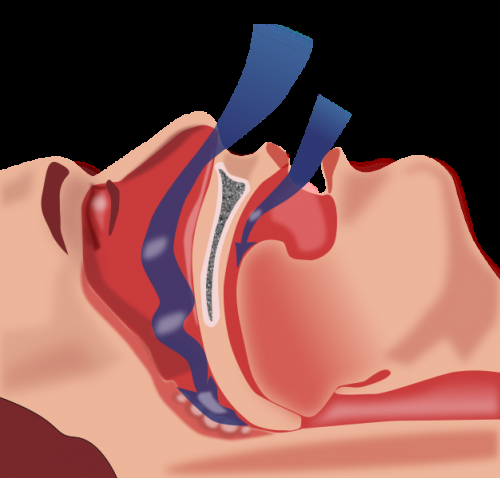 CPAP treatment eliminates obstructive sleep apnea. However, to be effective, people must use the CPAP machine regularly for at least four hours per night. Only 30 to 60 percent of people who are prescribed CPAP therapy use the machine regularly as prescribed. Additionally, few studies have confirmed whether or not CPAP treatment delays cognitive decline. Now researchers in a new study examined whether using CPAP treatment had an effect on slowing cognitive decline. Their study was published in the Journal of the American Geriatrics Society. Researchers enrolled 68 participants with MCI, aged 55 to 89, who were patients at sleep and geriatric clinics from September 2012 through December 2014. Some of the participants used CPAP machines while others did not. What's more, said the researchers, the group who had MCI but didn't use the CPAP machine experienced significant cognitive decline. The researchers said that their study, "Memories," is the first clinical trial to show that using a CPAP machine can significantly improve cognitive function for people with MCI.